Peach hut is a rural Factory comes its name from being in the middle of Rich Peach Orchards of Rajgarh, famously known as the 'Peach Bowl of Asia'. Misty Peaks with substance of natural beauty is all around it to provide natural climatic conditions to improve local fruits like blackberry, Red Plums, Peaches , Apples, etc. The concept of this venture is to facilitate nature's gifts with human race all over the year and lightening lamps of many houses by generating employment for local area women. 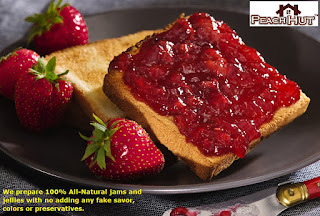 A lot of people love having gourmet Jams, Jellies and Maintains because they taste so incredibly awesome, but did you recognize that there are a lot of positive, body friendly, healthy health befits to eating these delicious “spreadable,” edible fruits. Fruit are normally low in fat, sodium, and calories and have absolutely no cholesterol and are an important source of many vital nutrients, including dietary fiber, vitamin C, fol-ate (folic acid) and potassium. As it turns out, according to both medical doctors and naturalistic nutritionists, as well as university researchers and numerous medical studies done all across the globe, fruit jams, jellies and preserves provide our bodies with beneficial quick boosts of energy and in fact, are only bout half the calories, even far less fat and saturated fat, as well as those oh so dangerous bad cholesterol than butter or man made margarine. So, according to all the medical experts and scientists, in what ways can gourmet fruit jams, jellies and preserves help make our bodies healthier and our lives more energized and satisfying? Here is a partial list of the results. Promote healthy growth and repair of all body tissues. In pregnant women, reduce risk of neural tube defects, spina bifida, and anencephaly during fetal development. Pretty impressive for something I would probably still eat once in a while if it were actually bad for me, but now that I know how good it is for me … eat on! Is the jam beneficiary for your health?? 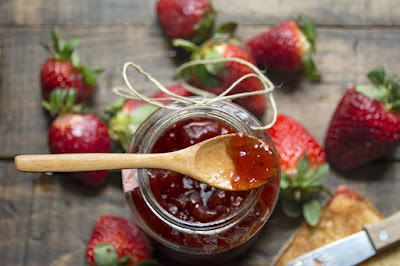 It’s easy to recognize how delicious jams can be– all you have to do is eat them! 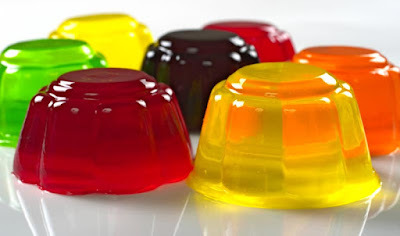 What most people fail to acknowledge, though, is just how good jams and jellies are for you. This article does a great job at listing many benefits of jelly. Homemade Chutneys and Jams Prepared From Natural Ingredients. 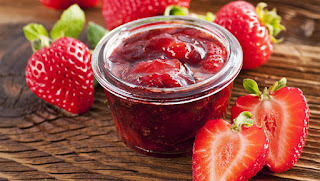 At Peach hut, we adore all kinds of jams, chutneys, marmalades and jellies. We expend hours in our kitchen rising innovative recipes and working with amazing ingredients and flavors to build our award-winning preserves. Homemade Jams, jellies, and Chutney recipes are an enormous approach to utilize and protect an excess of seasonal vegetables and fruit. As well as customary chutneys such as mango, apricot, and kiwi to serve with cheese, there is an innovative variety of lighter fresher, jams, chutney recipes and savor such as plum and port to serve with sluggish roasted pork, that fetches chutney making bang up to date. It’s the vinegar, sugar, and salt in chutney recipes that proceed as the preservative, simply like sugar acts as the preservative in jam. Frequently dry fruits are used in the mix up as well as apples and onions to offer that sugary sour stability that creates chutney and jam so alluring and delicious. Misty Peaks with essence of natural beauty surrounds it to provide natural climatic conditions to enhance local fruits like blackberry, Red Plums, Peaches , Apples, etc. The concept of this venture is to facilitate nature's gifts with human race throughout the year and lightening lamps of many houses by generating employment for local area women. The women uses indigenous handmade methods to prepare various preparations like jams, jellies,preserves, chutneys, marmalade etc.